Load weight: Ramps have been tested and rated for up to 500lb. If you are in the market for truck and trailer ramps we have several sizes in stock – made out of aluminum we have three widths and two lengths, If you are looking for a ramp with a tang we stock that option as well. 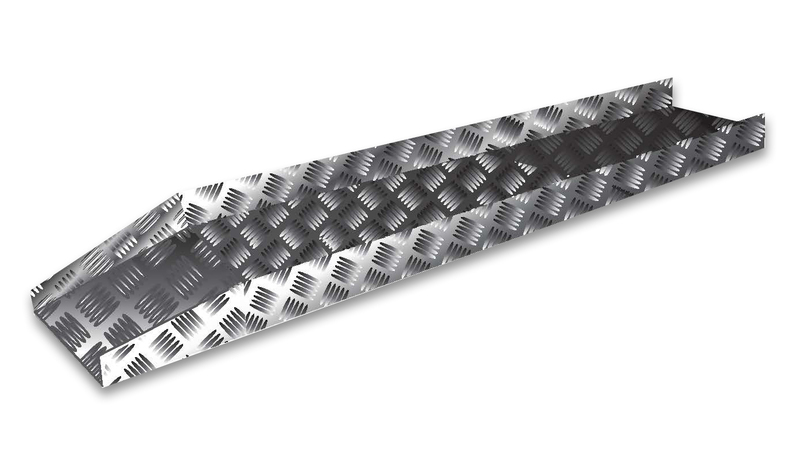 These equipment ramps, made out of Aluminum tread plate, will easily load your motorcycle or offroad vehicles into the bed of your truck or trailer. Affordable and lightweight due to the fact they are made of aluminum, they are perfect for on the job and weekend warrior types who are on the go. These are some of most economical ramps on the market. All our stores stock a selection of tie downs in various sizes and configurations so you can get everything you need in one stop.